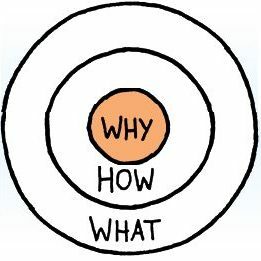 Our Golden Circle: The WHY Inspires Us! Why: Kitsap Business Forum exists to engage business leaders and stimulate thinking so that collectively we grow a healthy Kitsap economy. How: KBF brings together business professionals who desire to learn, network, and grow. What: KBF provides a consistent contribution to the regional business community through free forums on relevant topics. Who: KBF attendees are micro, small and midsized business owners, CEOs, human resource directors, solopreneurs, independent contractors, government leaders, and those in public and nonprofit service. When: KBF meets on the second Tuesday of the month. Doors open at 7 a.m. for morning networking. Each program kicks off at 7:30 a.m. and wraps up by 9 a.m.
Where: KBF events are held primarily in Central Kitsap, but KBF will occasionally be held in other parts of Kitsap County. Conceived in 2013 and championed by Silverdale Chamber of Commerce, KBF is a regional effort aiming to connect business leaders to a wide array of business intelligence, resources, and relationships. KBF is organized by an independent Steering Committee dedicated to bringing you timely and innovative programming. Visit our events page to preview upcoming forums.